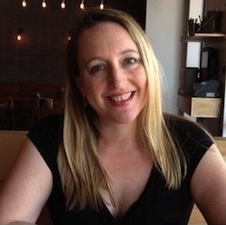 I am happy to be apart of another blog tour for Christina Bauer. This is the Dimension Drift Prequels – UMBRA. 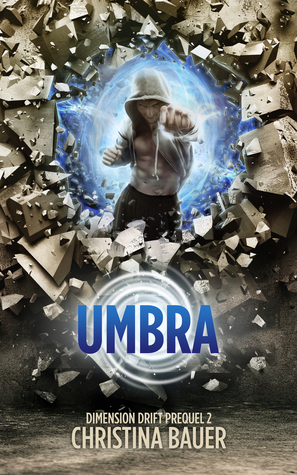 Check an excerpt and don’t forget to enter to win a copy of Umbra. The sparring room responds. The brown threads of the floor come to life, rising up into the shape of a sparring partner. I bow to my faceless opponent. The sparring partner—my wick—does the same. I begin a series of warm-up lunges, followed by a speed round of thrusts and parries. My wick keeps pace. The wall to my right shimmies. The threads there divide, pulling apart as a new person enters the space. It’s my mother, Janais. She looks regal at all times, what with her strong cheekbones, copper skin, and long neck. Today Mother wears a brown robe with lace at her throat. The garment’s train twists as it follows behind her. For a few seconds, Mother watches me practice. Then she speaks. “Your reaction times are getting better,” she says in her deep alto. I keep on practicing. “Why are you here?” Mother doesn’t stop by without a reason. This is an old conversation, and I’m simply not in the mood. “Convince him to kill father? No one can do that.” I make another lunge at the wick and miss. Big mistake. The sparring dummy gets a strike in on my left shoulder. That’s the first serious hit the wick has gotten in. Damn. This conversation is shattering my focus. Who wants to kill their own father? My meaning is simple. If it comes to Justice or Cole, there’s no question where my loyalties will fall. Justice.